If you are a passionate Sprouts Farmers Market shopper, like I am, I have news that will make shopping for healthy products that much easier. The new Sprouts Mobile app has launched and will save you time and money on all your favorite products. 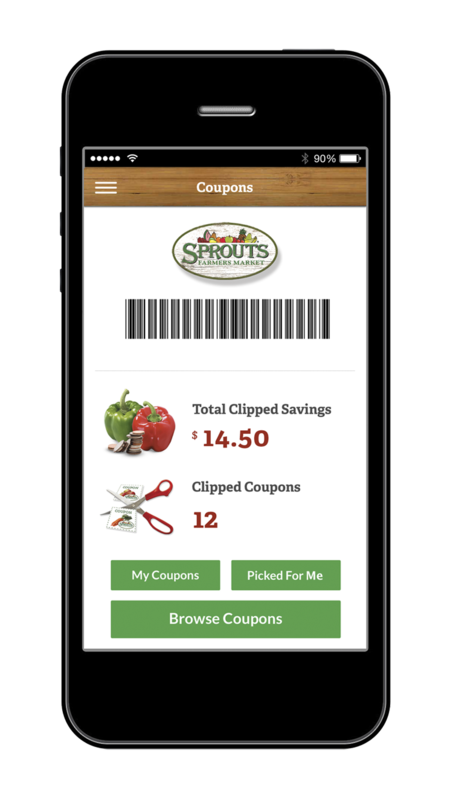 Never worry about forgetting coupons at home again, the new app allows you to clip and store coupons right on your favorite mobile device. 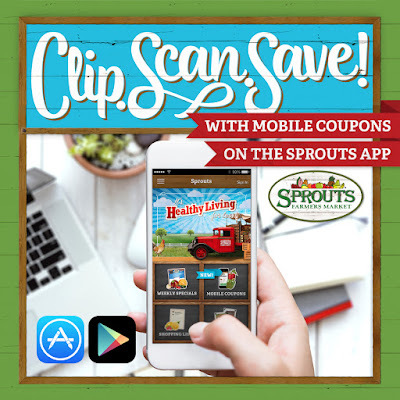 Simply download the app, create an account and start clipping coupons today. Have a diet or health preference? Add that information to your profile to get coupons tailored for your lifestyle. You can clip as many coupons as you like. When you are ready to use them, just scan the barcode associated with your account at checkout and viola! Along with having coupons at your finger tips you are also able to view the weekly stores ads in the app and create shopping lists of the items you most frequently use. I love this because I can scan the ads easily for additional savings. I like the app a lot and think you will too...I suggest you give it a try. You will find all the information you need here. oooh! I didn't know they had an app! Love it! What a great idea! Apps do definitely make life easier than carrying bits of paper about. Nice! I actually have a sprouts about 15 minutes away from me, so I will definitely get this! I so wish I had a Sprouts near me...this app looks great! What a helpful app (if only I had a Sprouts near me)! I love apps that make your life easier. I am all in. I love helpful shopping apps like this one! I love when stores make improvements like this to help customers. Love it! It's so much fun to discover new apps - love it! Very cool. I use apps for everything except the grocery store. I need to look into this!